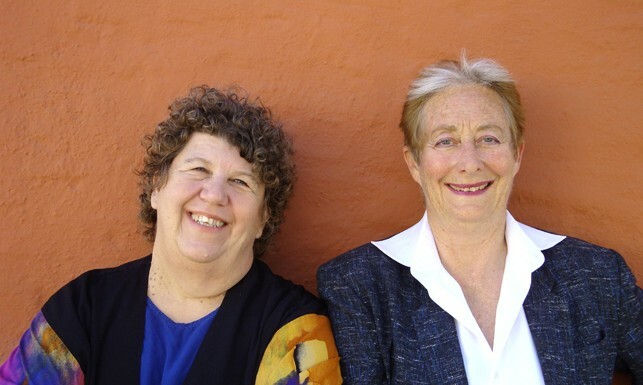 Crackpot Crones, a comedic duo comprised of Terry Baum and Carolyn Myers, are legendary performers of lesbian-themed comedy and socially-engaged theater. They’re celebrating 40 years of working together, of being beacons for women in theater and the arts, and the joy of artistic togetherness that they’ve found with each other. Read on for a fascinating two-part interview for rich perspectives on life, feminism, artistry and never-say-man (if we may) spirit from two much-celebrated (just as they should be) women in theater. 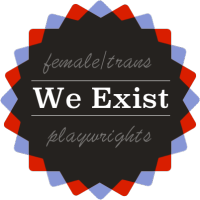 WORKS BY WOMEN SAN FRANCISCO: What is the path that brought you to working in theater? TERRY: Well, the real question is what is the path that takes people away from theater? We essentially, as children, all start out in theater. We spend a lot of our time playacting, taking on different roles. I think that’s really universal with children, and at a certain point, that fades away. But it never faded away for me! When I was in college, I tried to major in other things and they just didn’t work. CAROLYN: Like Terry, I have done theater my whole life. I have a story of my beginnings, which may be useful to some people. When I was in 3rd grade, the choir was putting on Frosty the Snowman in our school. The teacher, right before the show, decided that I would be Frosty. 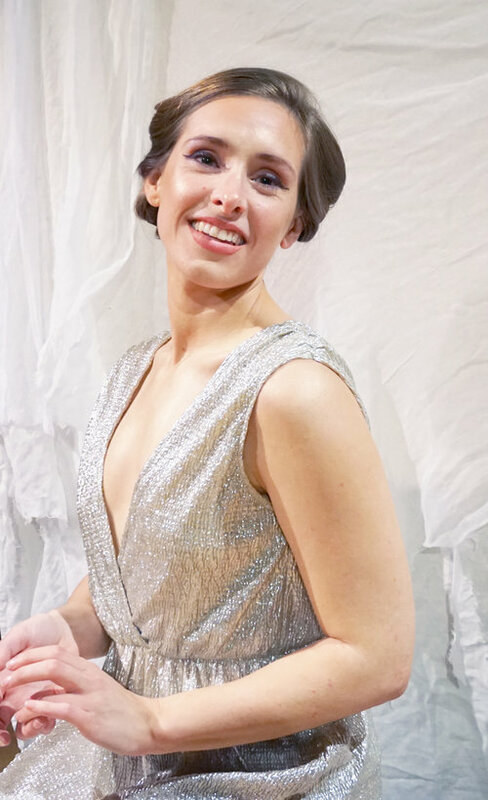 She added a dramatic element where I engaged with the audience, and I had this fabulous experience. I was shocked when I wasn’t cast in the next thing. So I decided I would write a play around the song. I wrote a play about three pirates who came to London Town. I remember I had a mad crush on the leading lady and that the boys didn’t memorize their lines. Of course, I only had one script because I didn’t know how to type yet, I was only in the third grade! Ever since then, I have been writing original material and putting on shows with my friends. Years later, I ran into this teacher and I said to her: “I have gone on in theater because of you giving me my start!”. She said: “Oh, that’s so funny, I only made up that part because I was so desperate to get you out of choir. You knew all the words and you had by far the loudest voice and you could not carry a tune at all. My husband suggested ‘Why don’t you find something else she could do?’, and I thought, ‘Yes!’”. So that’s a telling tale about how some of us fall into theater! When I was a senior in high school, we wrote a very political musical. It was the first student play, and it was banned by the school board. 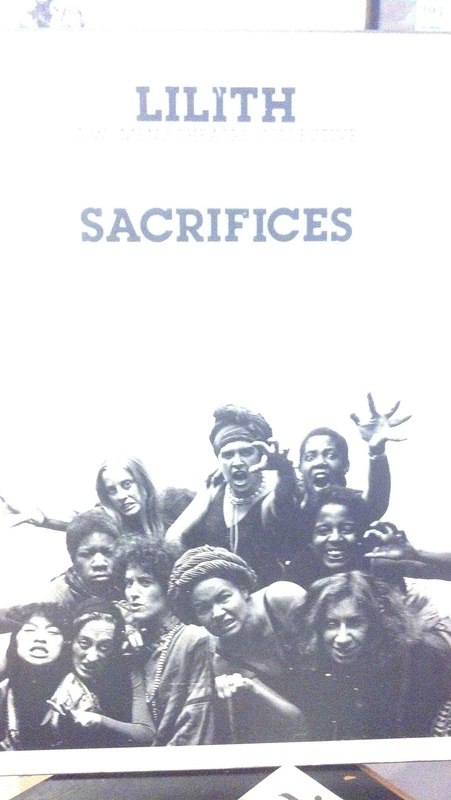 When I was in college, I was in this radical theater group. I met Terry in my senior year and she directed the first full-length play I wrote. And that was the first time a student play had been done in one of the main theaters. And from there, we went on to start other theaters. TERRY: For me, I was always in theater. First, I was an actor who didn’t get cast very often. I went into directing so I got to cast others. But I started writing once I became a feminist, a long time ago in 1968. I actually was pretty familiar with the dramatic canon. I looked around for plays I wanted to direct and there wasn’t anything. That’s when I started writing. WWSF: Who are some of the artists or non-artists who’ve influenced and inspired you? TERRY: For me, Ibsen is the towering figure because he was so courageous, with his narrative ability and his ability to be out in front of society. Caryl Churchill, I would say, is the person now that impresses me as having the deepest, most radical theatrical vision. CAROLYN: One of my great loves is improvisation. I was very impressed by companies, like The Committee in San Francisco, and Second City in Chicago. They had this huge impact on me. When I was in college, there was a group from LA originally called Company Theater and then Provisional Theater. They collectively created physical comedies with direct political themes that explored our psychological reactions to the state we find ourselves in. I’ve also been very inspired by the people I’ve worked with personally. I mean, Terry herself, even though she’s also my theater partner, has been inspirational to me. She started Lilith, this women’s theater collective that we were part of for a long time. I love her work. I also have had a couple of other theater partners in my life… Dory Appel and I wrote a lot of plays. A few of them were published by Samuel French. She’s not as active now, but she did a lot of work on some of the early plays by women playwrights. WWSF: Talk to me more about your history as collaborators and how you work together. TERRY: We’ve been going for 40 years. This is our 40th anniversary. TERRY: In 1972, I started at the MA program at UC Santa Barbara, and I specifically chose UC, because I wanted to start a community theater. I felt that it was the most hospitable to that. I put up a notice in the student paper to start Alta Vista Community Theater, and Carolyn was one of the 30 people who showed up. CAROLYN: I always say my life since pretty much took shape from that meeting. It was an amazing meeting. TERRY: Yeah. We did all original work. It was in this former fraternity house that had been taken over by a Marxist collective of sociology students, and we were using the living room as our theater. And then the lease had expired (of course, there’s no way that a bunch of Marxist sociologists are going to like living together!) So the whole thing was being disbanded and the people of the Community Theater said, “Wait a minute. We can’t lose a theater. We’ll move in.” It was all theater people and a few Marxist sociologists. It was a very wonderful time. So, that’s how we started. We did play after play, and it was also, kind of, the eternal party. Not that there was excessive alcohol or drugs, but we were always playing theater games. CAROLYN: Astonishingly, Terry managed to leave this scene and moved up to the Bay Area and started Lilith, and I came the next year. TERRY: We had a European tour for two months in ’79. We talked about the political and personal being intertwined, that there was no separation. I think the major thing that Lilith contributed was that we also had a sense of humor about ourselves. There was always a self-mocking stream alongside the political stream in our work, which was very important. CAROLYN: In 1981, we left the collective and wrote Dos Lesbos. Terry and I were the writers, and there was also three other people who were the lyricists and composers. Dos Lesbos was the first lesbian play. TERRY: Pretty much. Two months before Dos Lesbos opened, Last Summer Blue Fish Cove opened in NY by Jane Chambers. They opened in December 1980; we opened in Feb ’81. So for most of our audience, they had never seen something on stage that reflected their lives as lesbians. WWSF: What kind of reaction did you get when Dos Lesbos opened? TERRY: It was incredible, because we were holding up a mirror to the community. So it was a very, very big deal for everybody. Sometimes people would come up to me on the street and start yelling at me that their particular issue or their life experience wasn’t in the play. So that’s how bonded the lesbian community felt, and I always took that as a compliment, that these women so identified with the play that they just couldn’t accept that part of their life had been excluded from it. CAROLYN: Dos Lesbos continues to be done by other people. And it inspired the first anthology of lesbian plays. TERRY: After Dos Lesbos, I started writing solo plays and toured a lot around the country, Europe, Canada and Israel quite a bit. In 1983, I wrote a play, Immediate Family, that was about the issue of gay marriage. In some ways, I’m most proud of that, because that play has been done at times when the initiative involving gay rights was on the ballot in different cities like in Boise, Idaho. It’s about a woman at the bedside of her lover who is dying and she doesn’t have any legal rights to have her taken off the ventilator, so she can just die. 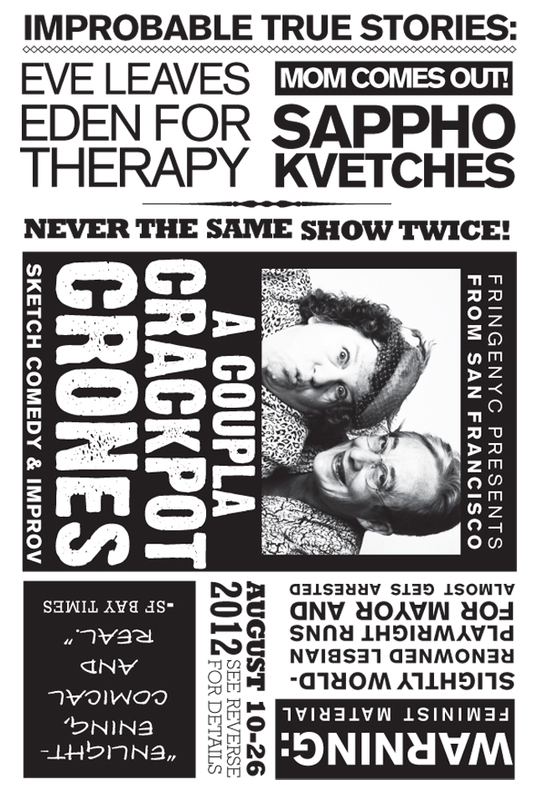 WWSF: Let’s talk about your current project, Crackpot Crones, which is a comedy. What about this particular piece are you most proud of or most excited about? CAROLYN: The Crackpot Crones has been going strong since 2008. We took a break because of family dynamics and my illness for a couple of years, but for the last two years, we’ve been going full time. We just did the New York Fringe Festival in August, which was really fun. And then we decided we wanted to do a theatrical run, which we’ve never done before. TERRY: We’ve done festivals, like the WOW festival and New York Fringe. But we’ve never done a run in a theater. So when you said what we’re most excited about, the thing that came to my mind is the Virgin Mary scene. Well, I’ve always had this idea about the Virgin Mary as a very resourceful young girl who finds herself pregnant and invents a story. As we now say in the scene, that little lie really went viral! WWSF: So you performed in both New York and San Francisco. I’m curious if you have any observations about the differences for performers in these two places. TERRY: Theater is more important to people in New York than to people here. So people have a very sort of intense serious reaction and are very appreciative. A lot of times, we went to see other people’s work and often performed in sort of little club settings, where everybody was doing five minutes from their show. Almost everybody was much younger than us. For me, one of the most special things was that we were seen as honored elders, which is a position that doesn’t exist very much in our society except for people who are incredibly at the top of the hierarchy. That was a wonderful experience. It felt right, because Carolyn just turned 62, and I just turned 66. We have been doing really great important work for a long time. So that was really a wonderful thing for these young people to see our work and honor it. Don’t miss Part 2, where Terry and Carolyn share their secrets for how to sustain a long-term life in the theater.